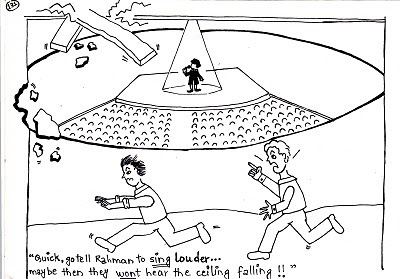 Quick, go tell Rahman to sing louder... maybe then they wont hear the ceiling falling!! 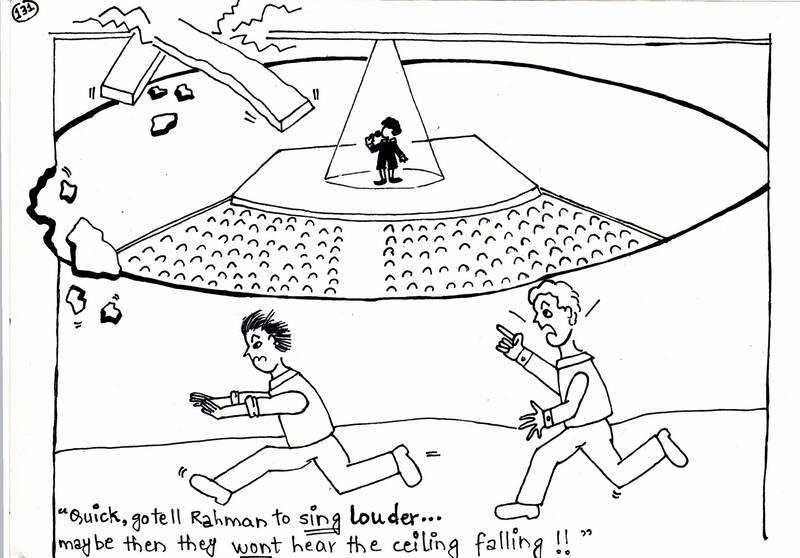 The Rehman song is actually quite brilliant. Its just that the OC are a bunch of brain dead idiots who cant tell a 'sa' from a 'ni' and whose defination of a good song is that absolutely trashy and worse than terrible 'wakka wakka' shakira number!! i mean ya..the rehman song gets a little edgy at places..beats are fine!but repetitive..could have added classical instruments more! !kind of pathetic and what he did at opening ceremony: he sung those two lines after his show was over..was a total fiasco! !